While many Apple TV games are fully playable and plenty fun using the Siri Remote, a full, traditional gamepad can really elevate select games. Proper analog sticks and directional pads provide more precise movement, the physical buttons enable more complex and fulfilling play experiences, and it helps bring the Apple TV closer to feeling like a real game console. Besides, you'll need a gamepad to play Minecraft on Apple TV. But whether or not you're into that blocky sensation, a gamepad is really worth the investment if you plan on doing more than super casual gaming on the Apple TV. Luckily, you have options. 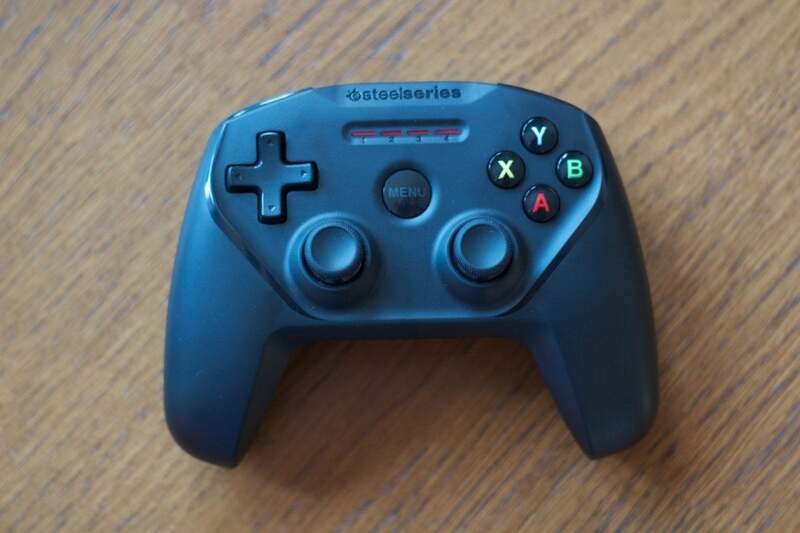 The SteelSeries Nimbus and Hori Horipad Ultimate are both designed specifically for the Apple TV, while older MFi (Made for iOS) controllers that connect via Bluetooth are also compatible. We've wrapped our digits around all of the noteworthy gamepads on the market today to let you know the differences between them, the strengths and weaknesses of each, and which are most deserving of your gaming dollars. And all of these gamepads are also compatible with iPhones and iPads, which makes them even more useful and versatile. Looking for great Apple TV games to play with your new gamepad? Here are 15 of our favorites. 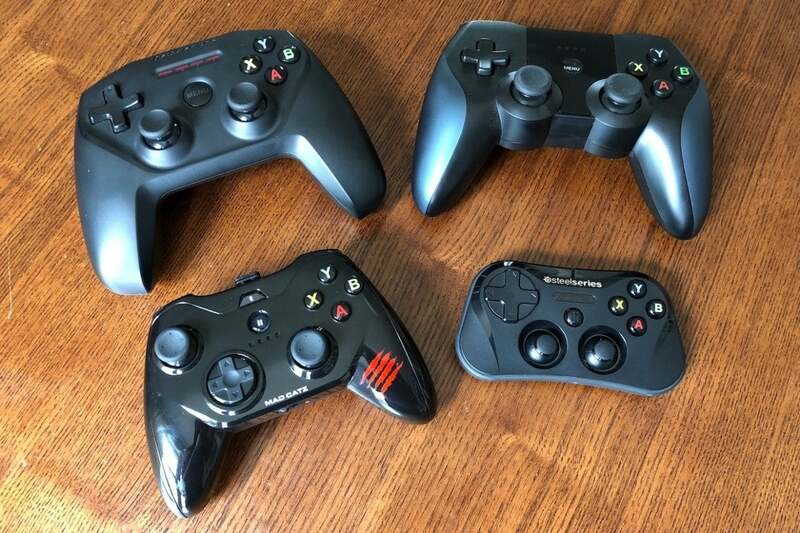 SteelSeries Nimbus: We were pretty high on the $50 Nimbus when it shipped alongside the Apple TV, and that opinion hasn't diminished over time. 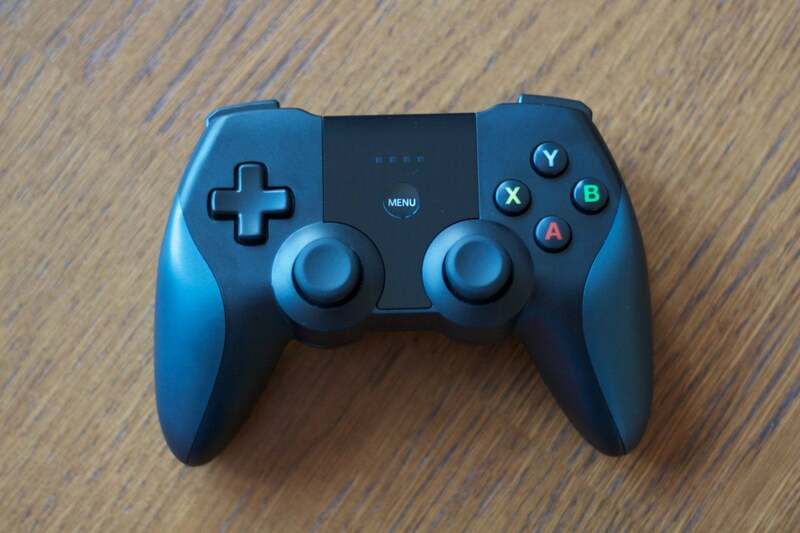 It's a strong gamepad in every way: It feels great in the hand, with a full-figured shape that fills your palms. The build will feel familiar to anyone who has used an Xbox One controller, although the parallel analog sticks are more like a PlayStation gamepad. In any case, the sticks, buttons, and D-pad are all nicely responsive. The Nimbus is the best all-around Apple TV gamepad right now. The Nimbus is the first MFi controller that really gets everything right, including Lightning charging for the 40-hour battery and the price tag: $50 is spot on for a gamepad of this quality, and that's a fair bit cheaper than some of the earlier competitors. Unfortunately, the great Disney Infinity 3.0 bundle—which packed in connected toys and the Nimbus—is no longer available after Disney abandoned the series. While we have a couple of other great gamepad picks profiled below, the Nimbus is our pick for the best MFi gamepad option for Apple TV or iOS today. You might find sleeker-looking controllers on the current console systems, but the Nimbus has it where it counts, and it's highly recommended. 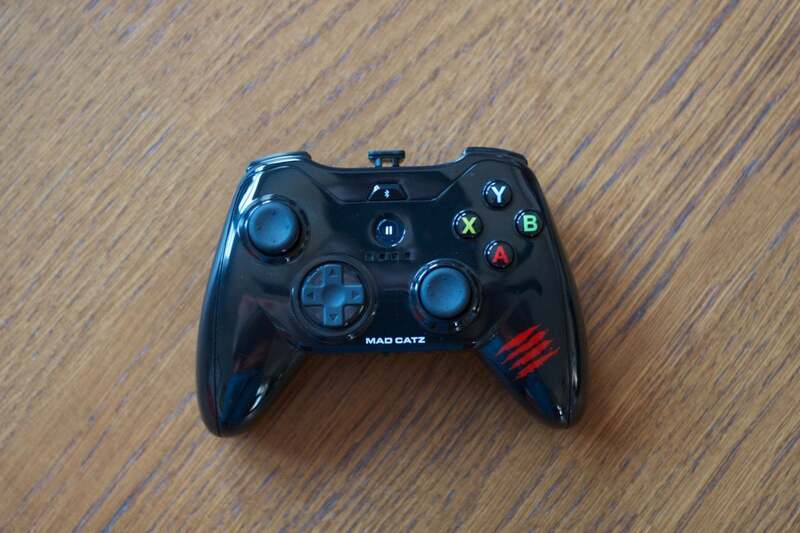 Mad Catz Micro C.T.R.L.i: If you're looking for something a bit more compact and portable, the Mad Catz Micro C.T.R.L.i is our next favorite. It was released about a year before the Apple TV, so it doesn't have a Home button for the set-top box, but it works just fine: The pause button accomplishes the same task. Also, don't confuse this one with the full-sized C.T.R.L.i (profiled below)—the Micro is a tiny little guy. The MadCatz Micro C.T.R.L.i is compact but impressive. Like, really tiny: If you have large hands, the Micro C.T.R.L.i might be out of the question for you. Even so, there are benefits here: It's a good pick to stash into a bag when traveling with an iPad, plus it has a removable clip that lets you attach an iPhone to the top. While still connected via Bluetooth, that gives you a DIY portable gaming system of sorts, and then you can pull off the clip when playing on the iPad or Apple TV. And crucially, it nails the fundamentals: The buttons and Xbox-like asymmetrical sticks feel good and respond well, and thankfully, the D-pad is on point as well. If you dig the smaller size, the Micro is a great pick for iOS players on the go who also have an Apple TV at home. Just keep some AAA batteries handy, as it needs two of them. Hori Horipad Ultimate: Hori's $50 Horipad Ultimate is the second Apple TV-centric gamepad released after the box itself, and it's the successor to the original MFi Horipad (no longer sold)—but with a very different build and feel. And "Ultimate," they claim? I'm not sure it's a step up in all regards, but it has the Home button and Lightning charging, the latter of which is a big perk. The Horipad Ultimate is a solid alternative to the SteelSeries Nimbus. The Horipad Ultimate features more of a PlayStation-like build, albeit larger and with full grips that really sink into your palms, but it has a button layout much like the Nimbus. I don't love the construction, though: The plastic has a cheap feel to it, and having the grips be separate pieces of plastic—despite feeling exactly the same—means there are creases you'll feel every time you play. For that matter, the triggers have a spongy feel rather than a nice spring to them. All that said, the Horipad Ultimate works well enough, and it matches the Nimbus in terms of feature set and price. I'd easily give the advantage to the Nimbus on build and button feel, but the Horipad Ultimate is absolutely solid. 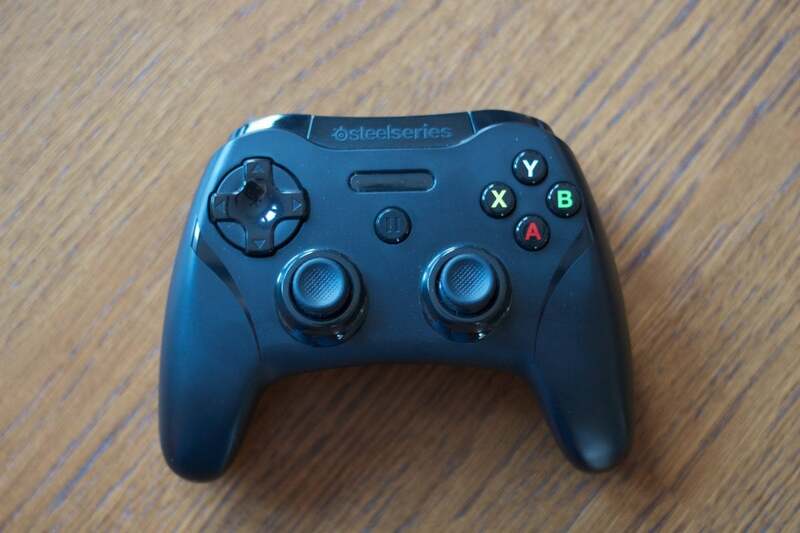 SteelSeries Stratus XL: The $50 Stratus XL predates the Nimbus, and it has a very similar shape and build. The plastic feels a bit more premium here, and the analog sticks have a nice texturing—the Stratus XL launched at $80, so the upscale feel makes sense. 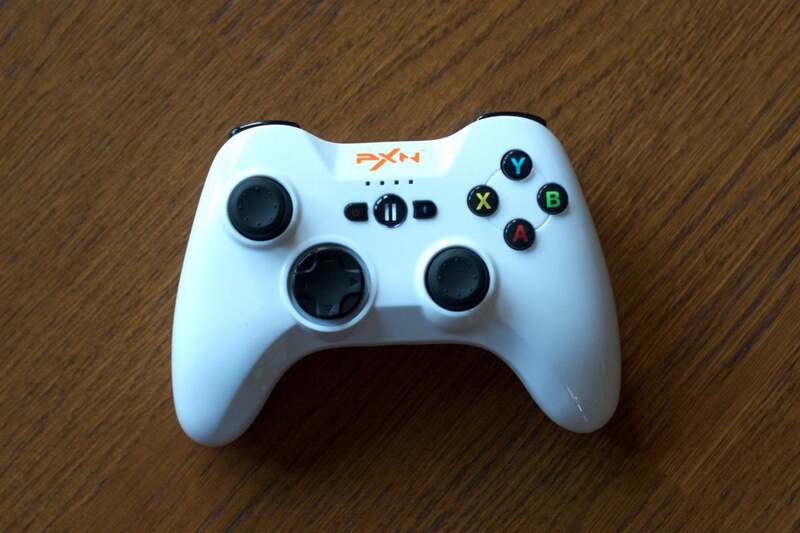 It's still worth a look, especially if you like a raised, circular D-pad versus the plus sign shape. At a discount, you might consider the SteelSeries Stratus XL over the Nimbus. That said, the Nimbus has really replaced it as an MFi frontrunner. The Nimbus has Lightning charging, whereas the Stratus XL uses a micro-USB cable, plus the triggers on the Nimbus are smoother and quieter in use. The Stratus XL is still a strong option, however, and with a price point hovering around $35 these days, you can save a bit of cash over the Nimbus. SteelSeries Stratus: Quite a lot of SteelSeries on this list, eh? Well, this one is different: The Stratus was the company's first MFi gamepad, but it remains interesting due to its amazingly compact build: It's about the size of an iPhone 4s, just thicker. It's the only gamepad on this list that I'd feel comfortable tucking into a pants pocket, and it even comes with a little plastic shield to protect the buttons and sticks during travel. The standard SteelSeries Stratus is incredibly small, and you'll feel it. Yet the small size comes with drawbacks: The shoulder buttons are super cramped, plus the analog sticks feel a little fiddly. It also has the cheap plastic feel of a Happy Meal toy, and the original $50 price tag was far too much given the competition. However, a white version sells for about $22 on Amazon these days, which is a deal if you can cope with the size. PXN Speedy: The $60 Speedy is the only controller on this list that doesn't come from a known player in the gaming peripheral space, and the Chinese company is selling them directly via Amazon. 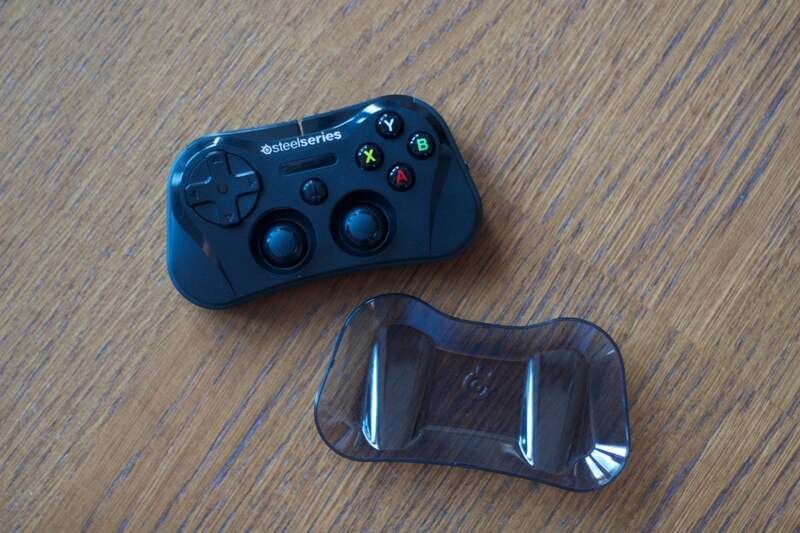 There's a fair bit to like right off the bat: It's a full-sized pad very much built in the mold of the Xbox 360 controller, with firm-feeling analog sticks and an optional clip for attaching an iPhone. Promising Xbox-inspired looks give way to disappointing input quality. Unfortunately, the D-pad presents a few problems. The disc design felt disconcertingly jittery before I even paired it to the Apple TV, and once I started using it, I noticed that it took a very firm touch to get the pad to register a button press. Early MFi gamepads often had bad D-pads, and that's the case here too. Were that not an issue—Amazon user reviews cite the same problem, so it's not just this one—the PXN Speedy would be a solid recommendation, even with the slightly higher price than others on this list. Stick with the aforementioned options instead. 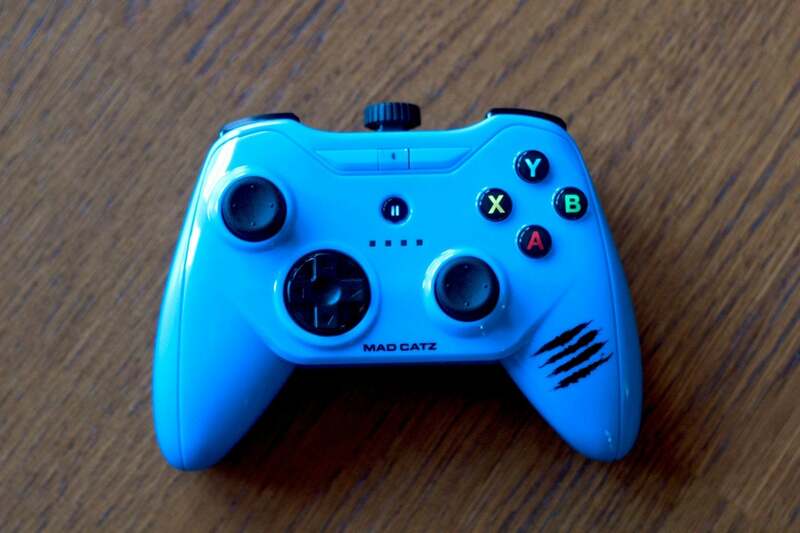 Mad Catz C.T.R.L.i: Last and sadly least is the larger Mad Catz C.T.R.L.i gamepad. While the Micro version is a strong little option, I've had nothing but trouble with the standard model. The first unit I tried after launch a few years ago had an unresponsive D-pad much like the PXN Speedy above, so I grabbed another one after the Apple TV's launch to see if anything would change with a new unit. Don't bother with the full-size C.T.R.L.i. It was even worse. The D-pad was flat-out broken out of the box, and it just kept trying to scroll across the Apple TV menu even when I wasn't touching the controller. The C.T.R.L.i has a fine shape and feel—although it has a little extra bulk—and the optional iPhone clip is nice. And it's selling for as little as $30 on Amazon nowadays. But after going zero-for-two on these, I'd rather point you towards any other gamepad on this list.